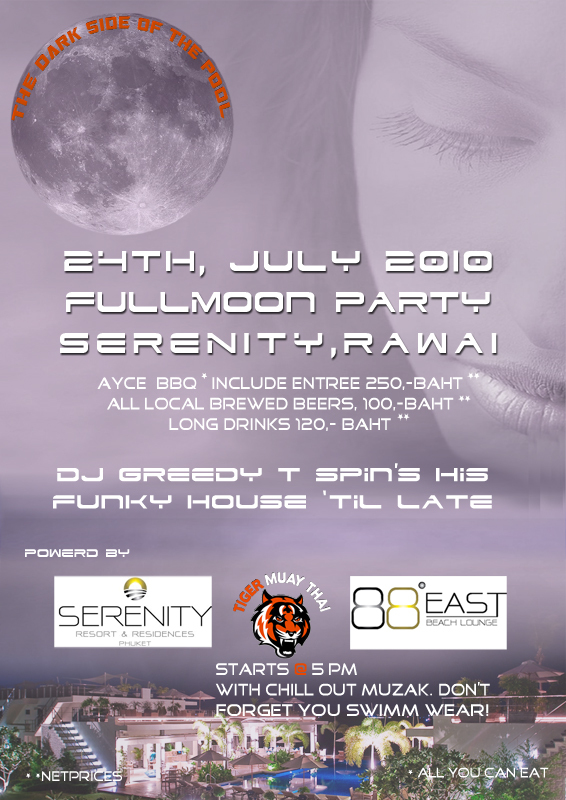 Tiger Muay Thai and MMA goes 5-stars for Full Moon Party @ 88East Beach Lounge July 24 @ 5:00 p.m.
Tiger Muay Thai and MMA, Phuket, Thailand has teamed up with Serenity Terraces / 88-East Beach Lounge for an exciting Full Moon Party at the prestigious 5-star resort Serenity Terraces and their 88-East Beach lounge bar. Hit the swimming pool, float party raft and party yacht for a night of fun with a 250 baht all you can eat BBQ, jams by DJ Greedy, swimming and partying from 5:00 p.m. until ???? Dont forget to bring your appetite and swim trunks and enjoy the luxurious surrounding of the 88-East Beach longe which sits on the beach with HUGE swimming pool, club, bar, and more. 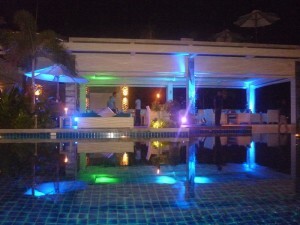 88-East Beach Lounge and Tiger Muay Thai and MMA will be working together in the future on different entertainment events for TMT guests.